"The Acts 2 Journey was an absolute game changer for Revive Church. Thank you to the AGTrust partners who gave and made it possible for our congregation to participate." Pastors Diego and Claudia Castaño planted Revive Church on the eastern side of Pueblo, Colorado, in 2014 after serving as youth pastors for 14 years at a church in Las Vegas, Nevada. Claudia is the children’s ministry pastor at Revive Church. Diego is a graduate of the Latin American Theological Seminary in La Puente, California. The population of the Pueblo area surrounding Revive Church is economically poor and families living there have remained true to their roots for many generations. Ministering to and discipling people who have seen churches with different ministry philosophies come and go through the years is difficult, Pastor Diego says. Most of the people in the community have lived there far longer than Revive Church has existed, and few new people move into the community each year. 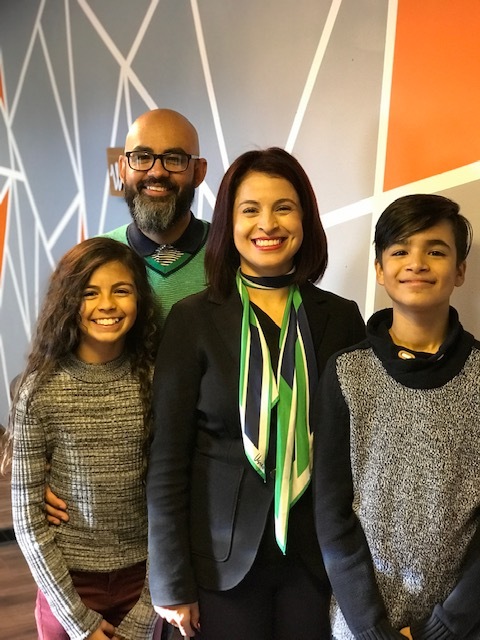 Trusting God for His leading, the Castanõs presented the Revive Church congregation with some direction and goals, but they found that inspiring them to move forward and work toward those goals was difficult. Today, Revive Church has set forth a vision to CONNECT people to Jesus, GROW together in faith and SERVE the community. “We’ve created a simple process of intentional discipleship that is easily communicated to the congregation and visitors,” Pastor Diego says. Judith is one of five people who have been baptized in water recently at Revive Church. To help implement the church’s vision and teach the congregation how to walk it out, the vision statement is mentioned in services, taught to children and youth, and relayed on the church website and in the church social media accounts. Vision statement cards are also placed in the visitor handouts. "Through the Acts 2 Journey process, we came to understand the importance of clearly communicating what is in our hearts to the congregation," Pastor Diego says. “The examples presented to us of past success stories and challenges and the difficult conversations we had were essential. Revive Church Community Clean-Up Team works to keep the neighborhood safe and clean, enabling people to freely walk the streets and enjoy the parks. Revive Church back-to-school event sponsors providing haircuts for children.